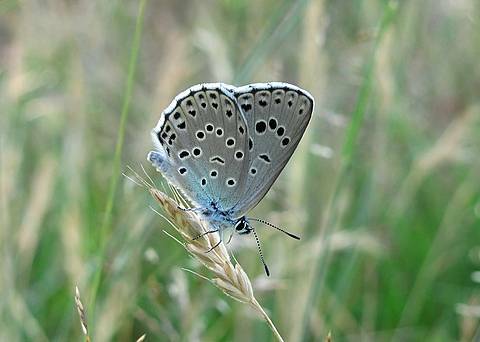 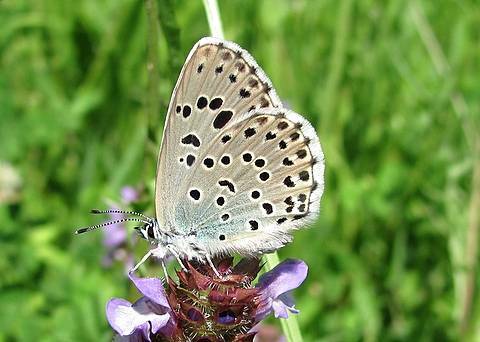 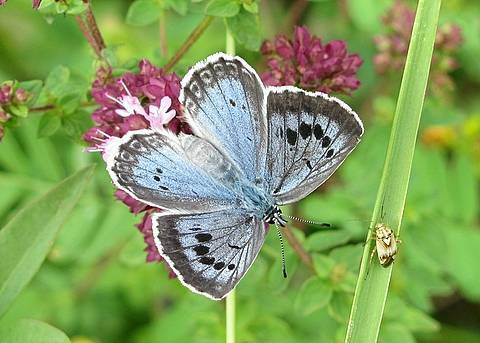 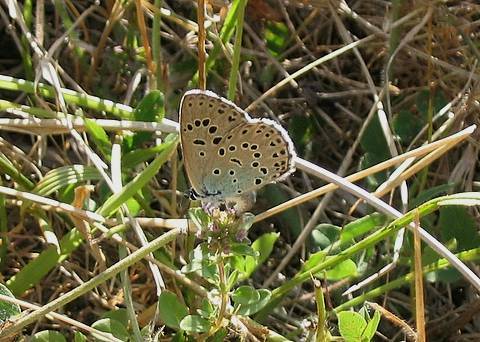 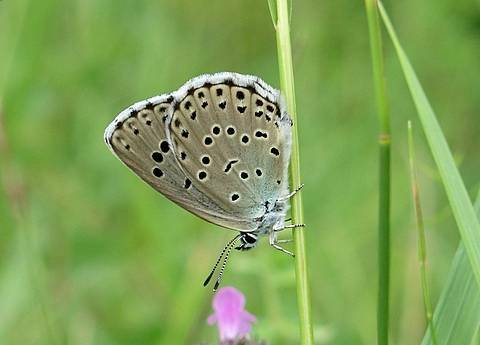 The Large Blue is a protected species flying through much of Europe where it is often rather local or scarce. 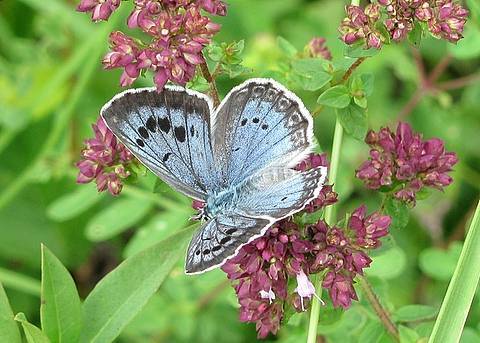 The large size of the butterfly and the spotty upper forewings make it quite easy to identify. 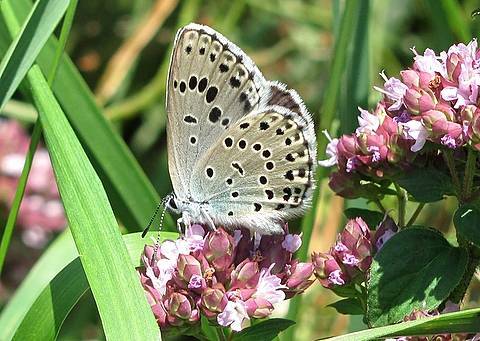 The females lay their eggs on wild thyme and adults are fond of nectaring on oregano, on which females may also lay in some locations. 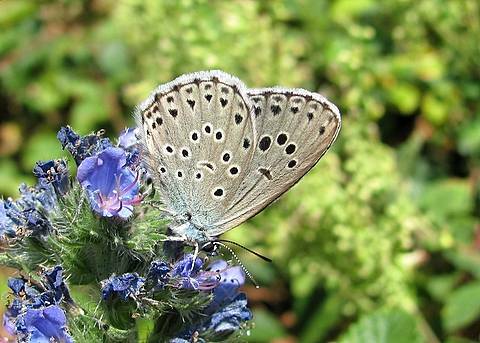 Like other members of the Maculinea group, the life cycle of this butterfly is dependant on a close relationship with ants which protect the caterpillars in their nest during the winter. 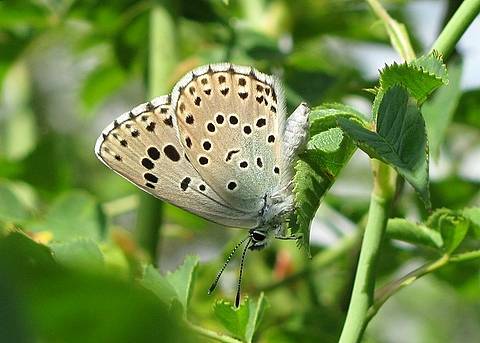 Adults fly in the summer.